Fast and Responsible Waste Removal. Got Old Office Furniture to Remove? 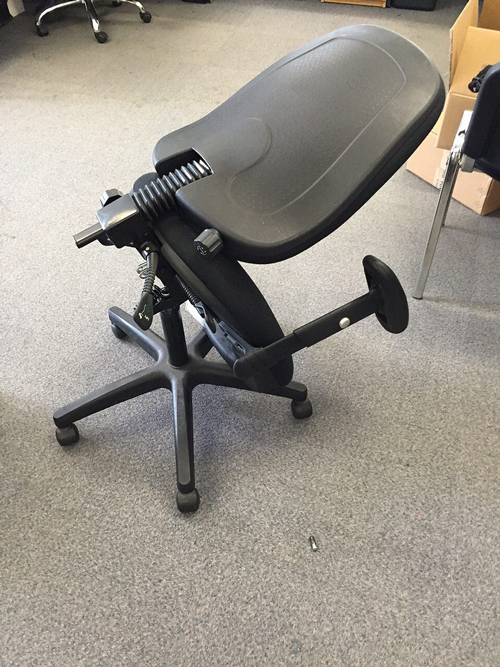 Easy Removal of Desks, Chairs, Photocopiers, etc. As great as the constant advances in technology are, and the great impact these improvements have on our lives, there are a few downsides. The biggest problem with continual upgrades is the waste that it produces. Many devices, like computers and printers, are only expected to last around 4 years. The regular need to upgrade can affect everyone, but it can particularly have an effect on businesses. For a business to keep up or in front of competitors, it usually helps if they have the latest equipment, this can bring even more regular upgrades, producing more junk. A large business may have hundreds of computers, monitors, desks, chairs, printers, photocopiers, etc. Having to upgrade these may be costly, but sometimes just has to be done. The last thing you want as a business after upgrading is having to pay an excessive amount for the disposal of the old equipment. Same-Day Rubbish Removal has been removing furniture and e-waste from home offices and businesses for over 10 years, and we can proudly say we’re the cheapest junk removal company you’ll find in Sydney. Call us now for a free quote on 0402 737 046. In addition to being the cheapest waste removal service in Sydney, we’re also the fastest and easiest option. Our experienced team can come to your location within the day, usually within a few hours, and we do everything for you. Instead of hiring a skip bin and having to do all the work of loading yourself, or hiring a trailer and doing several trips to the tip, with us, you don’t have to lift a finger. Just point out what items need to go, and our friendly, experienced team will take them and hand load them into our truck. Our efficiency also means we’re usually cheaper than these alternative junk removal options, but when considering our amazing service, you won’t find a better price. Whether you have old desks, filing cabinets, cupboards, photocopiers, or any other large piece of office furniture or equipment, we can have it taken away in no time. Business and office furniture removal jobs are often of a significant size and hard to do without a service like ours, which is why we find ourselves doing them a lot! Old filing cabinets, desks, drawers, cupboards, cabinets, photocopiers and computers are just a few of the many items we find ourselves removing from these jobs. In addition to this kind of job we do all sorts of junk removal from homes and businesses. Whether it is old beds, mattresses, lounges, couches, whitegoods, or even scraps from a home renovation, there is no waste removal job too hard for our team. From the Sutherland Shire to the Northern Beaches, we’ve got all Sydney suburbs covered. If you’d like to get rid of your rubbish fast and at an affordable price, don’t wait any longer. Get a free quote by calling us now on 0402 737 046.